This is my own design, I particularly like the "rolled edge". There are 7 wheat ears carved around the outside. 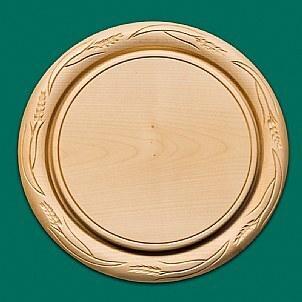 The outer edge is lower than the central cutting area, so the design won't be damaged when you cut bread on the board. A useful feature of the board is the deep crumb ring which does a very good job of catching the bread crumbs. 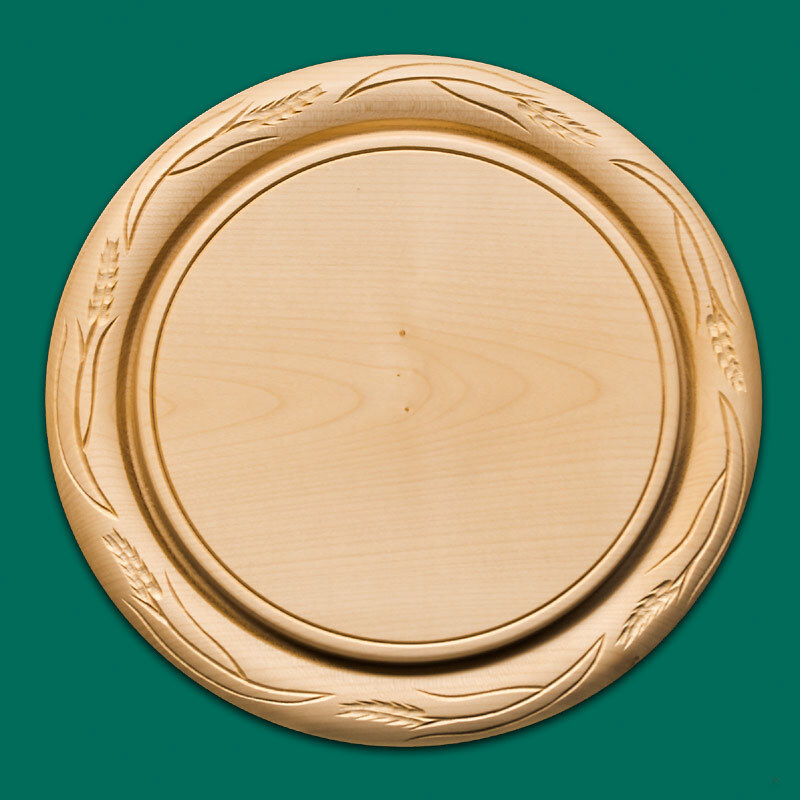 This is a traditional design Sycamore Breadboard with 7 ears of wheat carved into the edge. It also features a deep crumb ring. Delivery is usually 2 weeks on these. Hi Steve, We just wanted to write and thank you firstly for managing to complete our order in the limited time we gave you, and secondly for producing such a beautiful bread board.